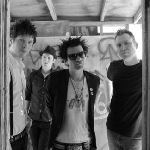 TheresNoSolution.com • View topic - Billy Talent covers Sum 41! Re: Billy Talent covers Sum 41! Two of my favourite bands, The Hell Song is one of my ultimate fav one all time and they play it together... Damn, it's so awesome!!! Wish there'd be an official version, they should even release an album where they cover each others' songs.